With the arrival of warm weather brings with it a renewed energy needed to tackle home improvements and general upkeep. Take advantage of this and maintain a healthy living environment for your family and prevent pests from infesting your home this spring. As part of your spring cleaning we recommend being on the look out for these insects and pests- Ants, Cockroaches, Rats, Mice, Silverfish and Spiders. See below some pest prevention spring cleaning tips. Wipe down all kitchen surfaces. 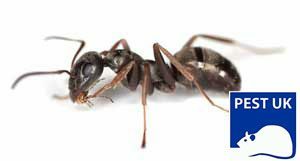 Any sticky or sugary residue remaining on your counters will be enticing to ants. Fix leaky taps. Keep moisture at a minimum by promptly repairing leaking pipes or taps. These can be a water source for rats or a breeding sight for filter flies if stagnant, standing water. Pick up after yourself. Make sure all of your trash makes it into the rubbish bin and is covered to eliminate food sources. Crumbs left under fridges can be a food source for cockroaches. Empty your kitchen bin often and keep it clean as well. This will prevent odours, and mould etc. Avoid leaving out food and unwashed dishes. Keep any leftover food stored in tight, covered containers whether they are on the counter or in your fridge. This will reduce the risk of flies, ants and rodents from having an easy food source. Trim bushes and hedges that are near or touching your house, this can prevent rodents climbing up to your roof and deny harbourage for other pests as well. Seal any cracks or openings into your home. Mice only require a gap of a centimetre to get in through. Check your gutters for blockages and debris that can cause flooding or be a harbourage point for pests. Call us on 0330 100 2811 to book an appointment regarding- Pest prevention spring cleaning tips, or any other pest problem you may have.